I have very long, thick hair and whilst I keep my routine fairly low maintenance I do like to use good quality products to maintain nourished and healthy hair. 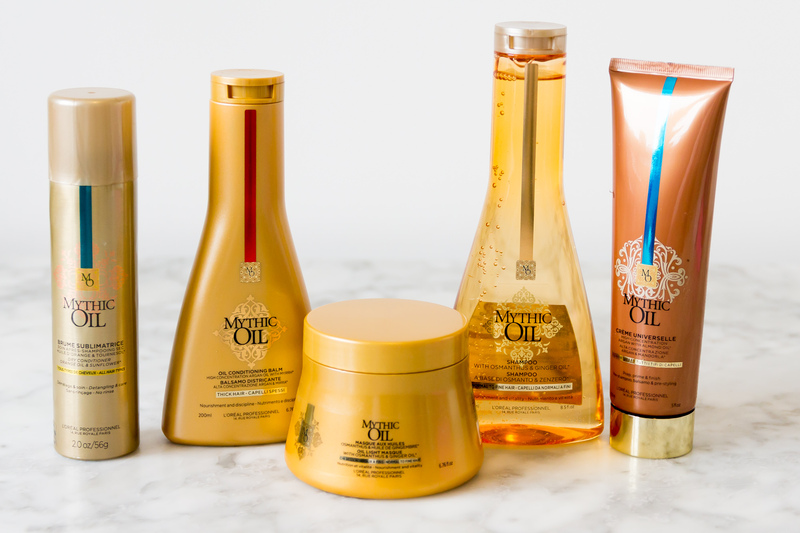 Most recently I have been using a range of beautiful items from the L’Oréal Professionnel Mythic Oil collection. 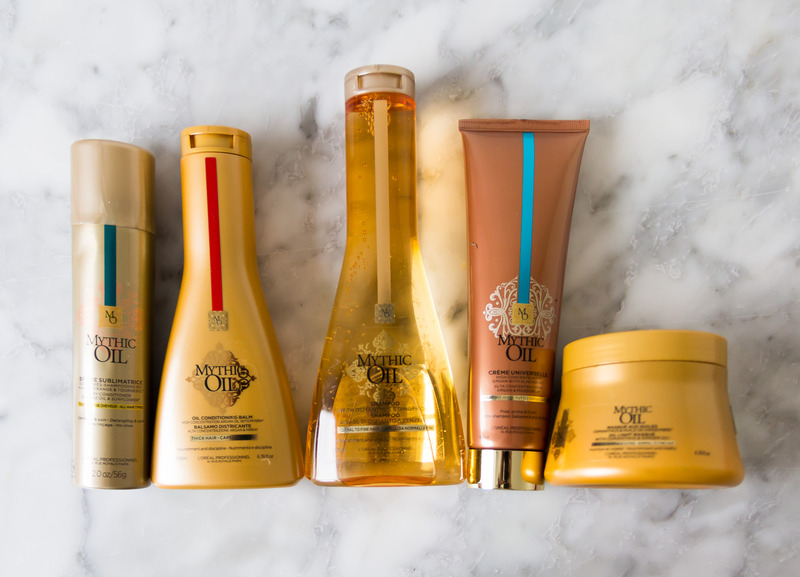 The L’Oreal Mythic Oil range has been inspired from a range of cultures throughout history, bringing the best elements together. 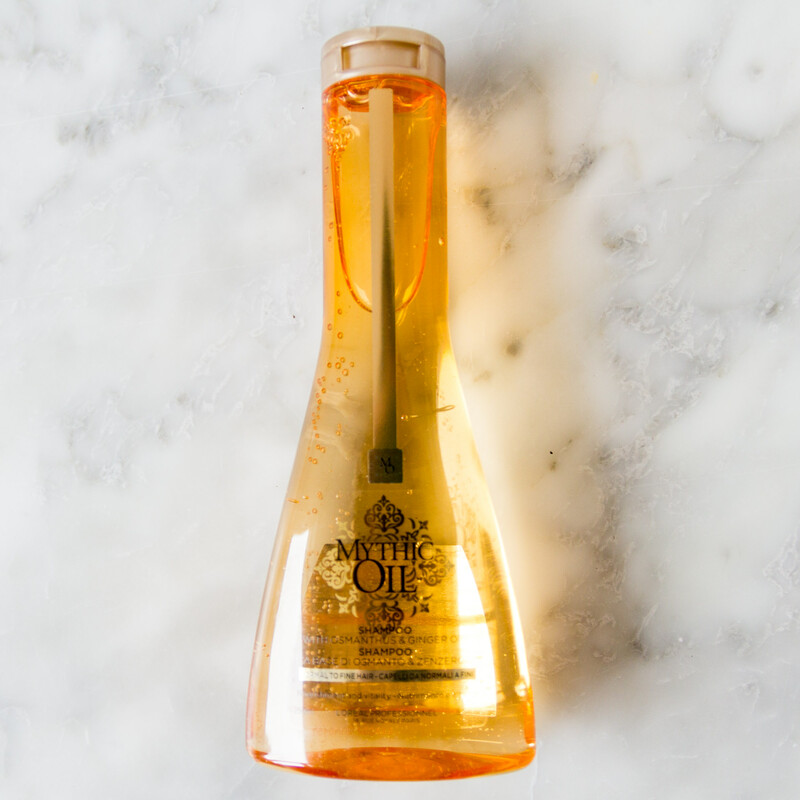 Starting with the Dry conditioner spray, the L’Oréal Professionnel Mythic Oil Brume is inspired by the ancient Persian queens’ dance, with their tresses infused in fragrant oils. This spray uses sunflower extract to sooth the hair with vitamin E. The dry conditioner also has orange oil to help bring your hair shine and vitality as well as to soften the hair. Perfect for conditioning and taming your hair when needed on the move or during styling. Use for detangling, reducing frizz or giving hair a sleek finish, spray mid-ends of hair and brush through if needed. The mist is micro-diffused and has a lightweight formula so you hair still feels product free. 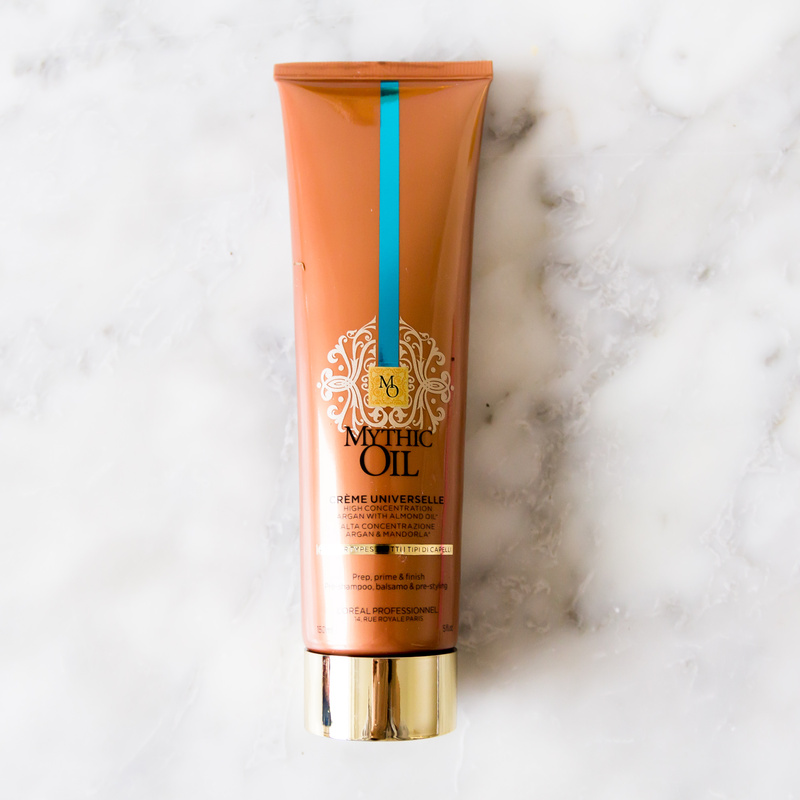 The L’Oréal Professionnel Mythic Oil Shampoo for Normal to Fine Hair is inspired by the tradition of ancient Egyptian queens’ oil layering for healthy looking hair. I know I have very thick hair and the Mythic Oil shampoo is designed for normal – fine hair but I still found this cleansed my hair and left it feeling healthy. The shampoo is concentrated with ginger essential oil and also infused with osmanthus extract to keep your hair bouncy and smooth. L’Oréal Professionnel Mythic Oil Conditioner for Thick Hair is inspired by the tradition of Indian oil bathing for hair discipline and shine. My thick hair needs taming, nourishing and definitely disciplining! The Mythic Oil conditioner is concentrated with fairly traded argan oil, high in vitamin E, and myrrh extract which has repairing properties. Together they offer deep nourishment to my dry hair. 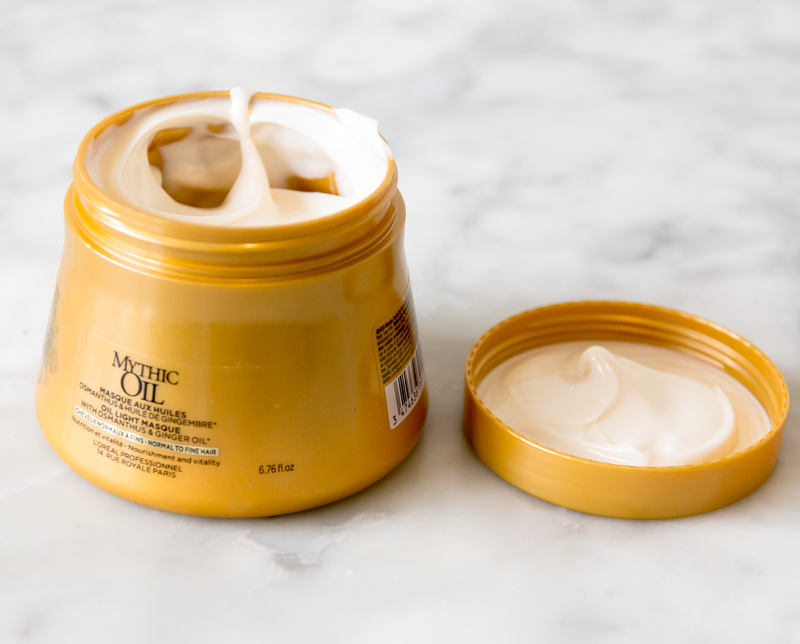 The L’Oréal Professionnel Mythic Oil Masque for Normal to Fine Hair is very similar to the shampoo as it was also inspired by the tradition of ancient Egyptian queens’ oil layering for healthy looking hair. It also similarly contains ginger essential oil and osmanthus extract. To use the mask I apply generously to damp, shampooed hair, comb through and wait for around 3 minutes. For an intense treatment I will have to try applying this the night before and washing out the following day. Before shampoo: Apply a small amount, rinse out and then apply shampoo as normal. After shampoo: Apply a small amount in place of conditioner. The multifunctional Mythic Oil Crème again offers deep nourishment through its ingredients of argan oil. To give hair a healthy glow and soft feel it also contains almond oil.